Goldenseal root are the rhizome and rootlets of a small woodland plant, Hydrastis canadensis. This low growing perennial herb has green, hairy, leaves, white stamens, purplish stem and a single berry similar in appearance to a raspberry. The yellow roots are thick and knotty. It's a popular, bitter herb, related to the buttercup. It has been cultivated extensively, almost near extinction. It grows in shady deep woods and moist environments. Commercially, it’s mostly grown in the USA, in the Blue Ridge Mountains. There’s little scientific evidence that goldenseal has healing properties. It was used extensively among some native North American tribes, medicinally and as a colorant. It became popular in the mid-nineteenth century. Today some herbalists use it in homemade remedies. Why? It has antibiotic, astringent and anti-inflammatory properties. It enhances the immune system. It contains vitamins, minerals and nutrients: calcium, iron, manganese, vitamin A, C, E and B-complex. Its alkaloid, berberine, is mostly responsible for fighting bacteria and fungi. Its chemical, hydrastine, lowers blood pressure. Some people claim it masks drugs in urine to avoid detection in common drug screenings. It’s often used in products containing echinacea. It enhances effects of echinacea. 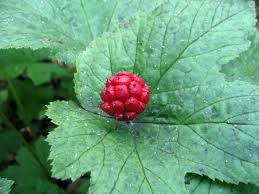 Goldenseal comes in capsule, tablet, powder, tincture, creams, liquid, salves, teas or dried root forms. Many herbalists continue to claim it has health benefits for the body and skin. 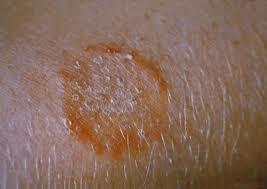 Apply to skin for healing: rashes, ulcers, minor wounds, itching, eczema, psoriasis, acne, ringworm, cold sores, mouth sores. Directions: Combine the goldenseal root powder and tea tree oil in one ounce glass dropper bottle. Fill the rest of the bottle with vitamin e (which will equal very nearly 1 oz). Shake to blend. Apply via dropper directly to small wounds, cuts and abrasions. - Can fluctuate blood pressure. - Do not use if pregnant or nursing baby. - Do not use for more than 3 weeks. Stop use and wait, at least, 2 weeks before using again. - Considered safe for short term use. Does not cause adverse reactions if the correct dosage is taken for the recommended length of time. - Large doses are poisonous. Large doses may cause nausea, vomiting, diarrhea, slow heart rate, irritate mucous membranes in the mouth and respiratory problems. Overuse can have toxic side effects. Extreme high doses can be fatal. - Consult physician before use especially if you have had heart disease, diabetes, glaucoma, a stroke, or high blood pressure. Looking for other homemade skin care solutions? Find them, now!